Though BeRobot is very small as world's smallest humanoid by Guinness World Records, but its embedded robotic development platform enables it lots of incredible function and education materials. 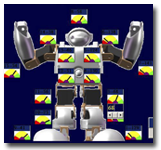 	Friendly Game-like Software (Graphic User Interface) for beginner, to easily learn and program robotic motion by your imagination. 	Advanced version provide SDK and sample source codes for engineer to design advanced projects in VB, VC++, VC#. 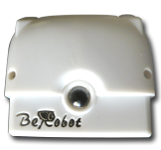 	Bluetooth version provide Android APP to control BeRobot without computer. 	Embedded with battery power saving technology to save much Power consummation. 	Fancy small Remote controller is easily to be programmed/defined its function. 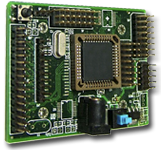 	Many optional Hardware extension modules (sensors, controller) for upgrading functions. 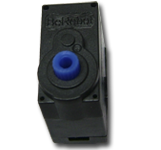 	High performance, High precision, dual bearing Servo Motor with IC protection technology to prevent Servo IC from crash or burn down. 	Embedded with almost zero backlash gear sets and 500k times of life cycles. 	Small and cute, safety to use for young students. Easy to carry, easy to program robot at small table. Does not need to occupy much space. 	Rotatable waist design made its performance more stylish. 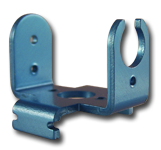 	Easy to replace any damaged parts and save maintenance costs. 	Mini Robot Competition every year in Taiwan. •	Made in Taiwan with best quality and ROHS compliant. •	It is a robotic learning tool for engineers of all ages and all abilities, from students to researchers and experienced hobbyists. It enables everyone to learn mechanics, electronics, robotic sensor control and robotic motions programming. GeStream considers the safety in playing, we have "NT$12million assurance" in Zurich Insurance(Taiwan) Ltd. Now！You can play it more fun and more happy in the innovative learning world of BeRobot. GeStream is a Robotic Designer and manufacturer in Taiwan. We are looking for agent, distributor, schools in your country. 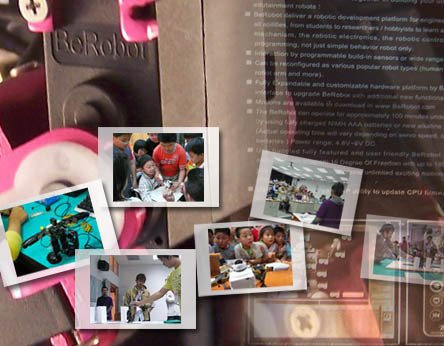 We have many robotic courses, robotic summer camp experiences. Welcome to be our agent/distributor in your country !! "the next hot field will be robotics" by Bill Gates. Did you lost the opportunity of PC ? Never lost the opportunity of Robot ! !